"Packed with thrills!" Prospector Jonathan is murdered by his partner in an attempt to jump his claim, but the scoundrel didn't count on the valor of Jon's faithful collie, who is driven by VENGENCE! Vengence, and SNAUSAGES! With short Body Care and Grooming: A narrator reminds college students of the shame of not adjusting your appearance to social norms. Another good short, and the first Western MST did -- and the second is the very next episode. (No, I'm not counting the "space western" MOON ZERO TWO.) Furthermore, this is actually a Lassie movie; they took the famous meta-collie's name off the movie for some releases, which is just as well as the dog's name in the movie is actually Shep. Daddy-O informs us that Paul Kelly, the actor who played Jonathan, the victim in the movie, spent two years in prison for manslaughter! This episode contains the last short Joel riffed for MST3K, and there are only two other Joel episodes left.... YouTube (1h31m Premiered September 26, 1993. "An intrepid dog comes to the rescue when a boy's life is put at risk by the greed inflamed by a gold strike." "This educational film emphasizes the importance of good grooming and personal hygiene habits." 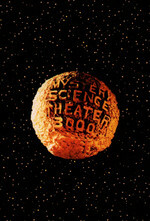 Every week, some of us in MST3K Club get together and watch that week's episode online in a chat room together! You should come with! This week the viewing is in the usual place, the MeFi MST3K room at cytu.be, and at the usual time, which is 9 PM US Eastern/6 PM US Pacific time on Thursday. More information can be found in the updated Club FAQ. pre-roll tonight is Barbarella at 7:00 pm est. Nevermind. We didn't watch Barbarella.